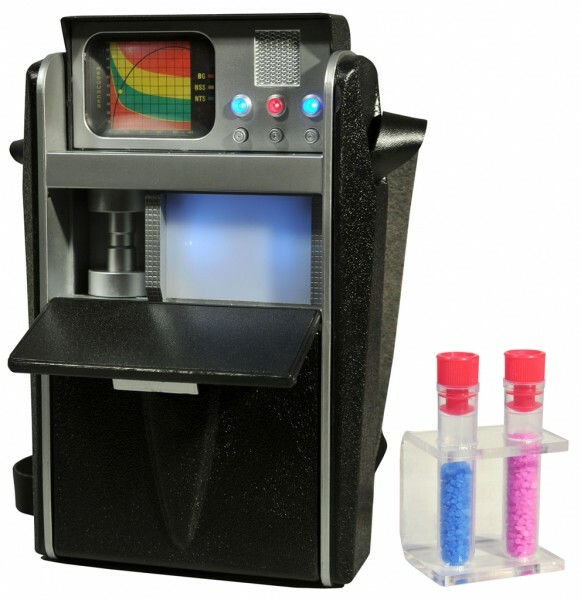 This faithful tricorder comes with removable sample containers, as well as two different planetary samples. At the push of a button, original quotes from the original voice of Majel Barrett are reproduced. The geological version was a special edition, which appeared in only one episode and has never been recreated for fans before. 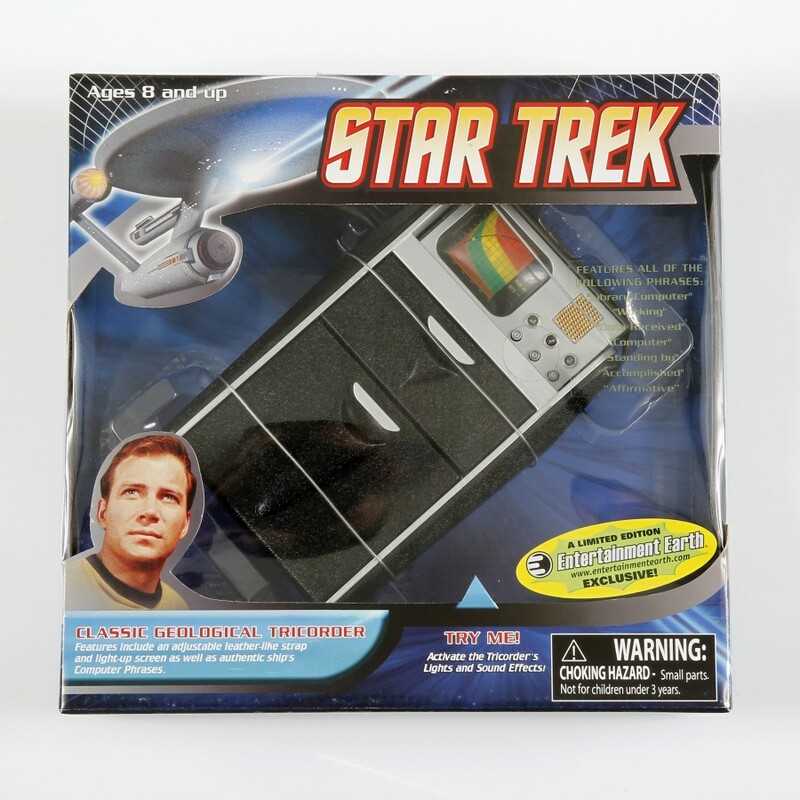 Various movie quotes and faithful lighting effects make this tricorder a must-have for any outdoor mission. 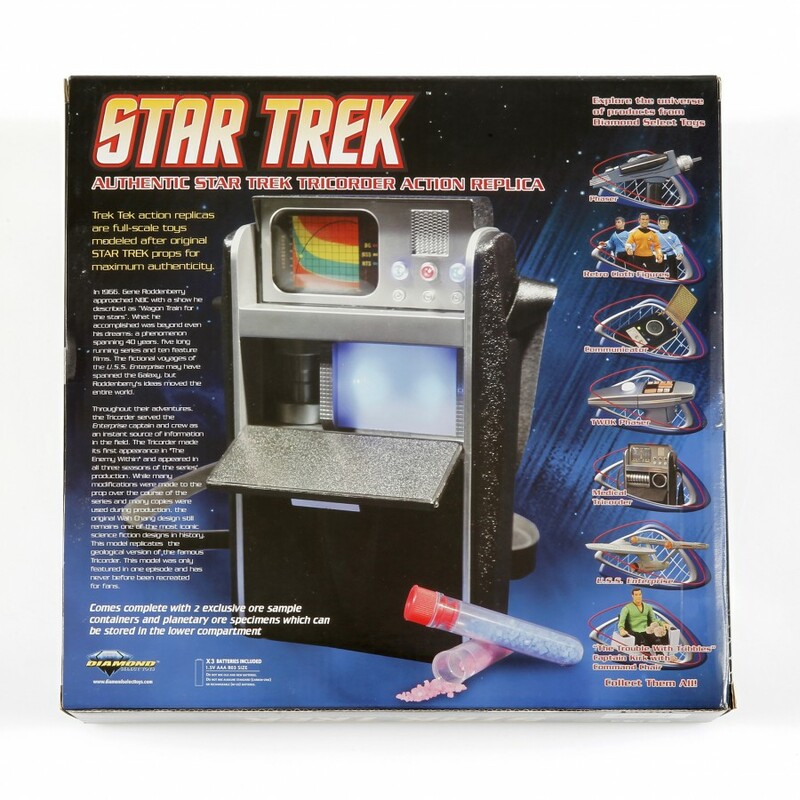 Made by Diamond in cooperation with Entertainment Earth, as Exclusive Limited Edition.